If you are one of the millions of investors who think they are getting more benefits by hiring a fund manager who trades in and out of the markets in the hope of beating a passive index, you are probably wasting your money. In numerous academic and real-world studies going back decades, the results clearly show that investing in a low-cost, passively managed mutual fund beats the returns generate by an actively managed funds. As this chart shows, the latest numbers again show that active funds underperform index funds. “In 2018, about 69% of all U.S. active equity funds failed to outperform the S&P 1500 index, their fourth-worst showing since 2001. The best years for active funds by this measure were 2009 and 2013 when only 40.7% and 43.3% of funds fell below the index, respectively. In 2009, the S&P 1500 had a total return of 27.2% as equity recovered from the global financial crisis and 2013 when the index was up 32.8%,” according to P&I Online (March 18, 2019). 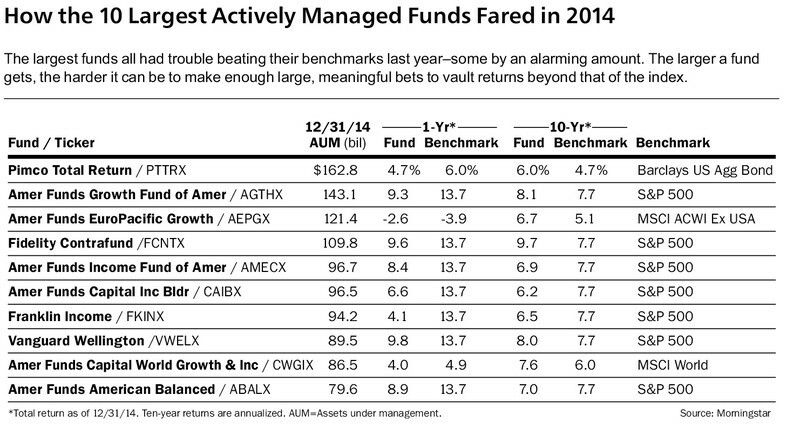 This chart shows the funds that underperformed in 2014, but the results are the same . This debate between active and passive management should have been settled decades ago, but the mutual fund companies employ managers who all claim, and are told by their educated colleagues, that they can beat the odds and beat the index. The other part of the story is that the mutual fund companies charge more for managers to chase windmills. In this way, managers and the fund companies get more money from unsuspecting investors. Not surprisingly, the menu of available mutual funds offered in 401(k) plans today contain many actively managed funds. This generates more money for fund companies and others at the expense of naïve investors who fail to look at expenses, fees and long-term returns. The problem is that the reality of mutual fund accounting demonstrates an ironclad link between fund expense ratios and fees and the returns investors receive. The more an investor pays in fees, the lower the net investment return. Over time, a slight difference in fees can become disproportionate. For instance, one study found that over 20 years, fund expenses that differed by only 1% could reduce an investor’s returns by 17%. Other studies have shown the reduction in net returns can be even larger. For these reasons, as early as November 2003, former Illinois Senator Peter Fitzgerald said, “[t]he mutual fund industry is now the world’s largest skimming operation—a $7 trillion [now $12 trillion] trough from which fund managers, brokers, and other insiders are steadily siphoning off an excessive slice of the nation’s household, college, and retirement savings.” The numbers may have changed, but this practice continues today. Fund expenses are especially important because they significantly erode investment performance. One often-cited DOL study found that a 1% fee reduction can increase a participant’s return by 28% over a 30-year holding period. Reducing plan expenses can offer a risk-free avenue toward improving investment returns. Fees also are one of the most important investment variables that can be managed. Numerous academic and real-world studies have shown that the best indicator of a fund’s future performance is its low expenses. As more investors realize that active management is a zero-sum game, meaning that over time, active management produces the same gross returns as an index fund, investors will be prompted to look for alternatives.18 But when market impact, fees, expenses and taxes are factored into the results, it’s no longer a zero-sum game—the net returns of actively managed mutual funds fall below zero. This is why only 32% of equity mutual funds beat the S&P 500 index from 1989 to 2008. It is also the reason why 85% of all institutional money managers, such as the pension, endowment and fund professionals who claim to be diviners of the future, fail to beat the market since they also succumb to the corrosive impact of trading costs. Avoid investing in actively managed funds. Buy low cost index funds or funds comprised of ETFs that have lower fees. 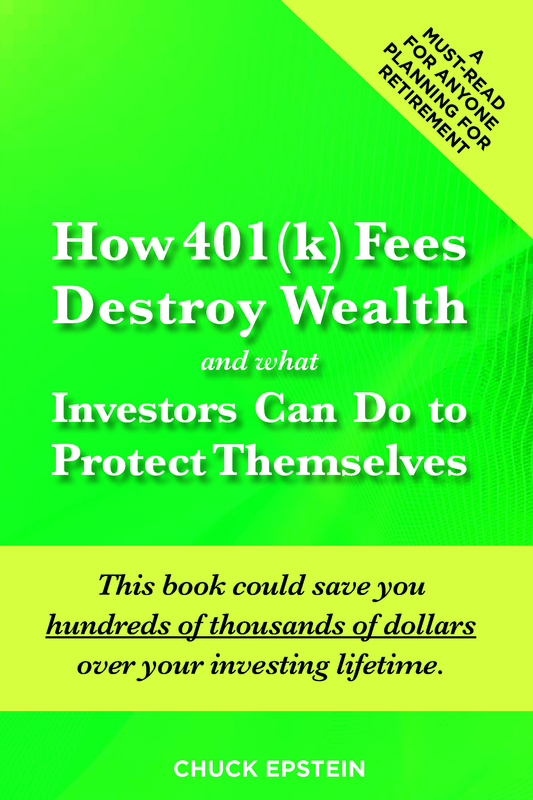 If you are in a 401(k) and don’t have access to a low-cost index fund, complain to your employer. They should be looking out for your best interests (as part of the fiduciary standard), and an actively-managed fund is not part of that story. 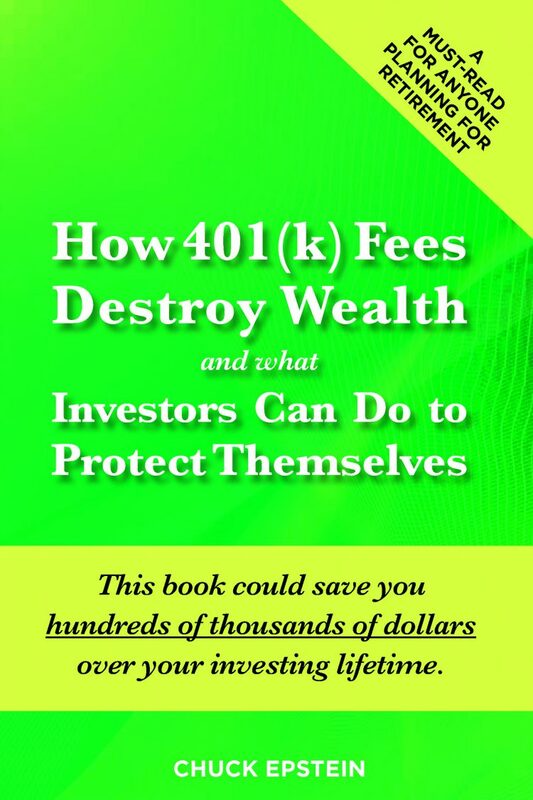 Ask to see how much the 401(k) is paying in administrative fees. In some cases, excess costs may be passed along to plan participants in some form of hidden fees or charges. Beware that actively managed funds have layers of hidden fees and trading costs. There is a whole other universe of expenses that drive down your net return and only enrich or allow the fund managers to keep their jobs while chasing windmills. Be an advocate for yourself. Learn how the larger political environment is affecting your retirement prospects. The financial services lobby is the largest and best funded in Washington and has hundreds of lobbyists working daily at the federal and state levels to put their interests ahead of their own investor-customers. Republican policy positions favor the financial services industry, so vote for people who will act in the interests of working Americans.